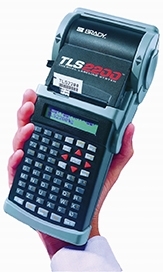 TLS2200™ Portable Printer Accessories are for use with Brady TLS2200 Portable Printer (mfr. no. 19150079, sold separately).